Looking for a cool science project ? 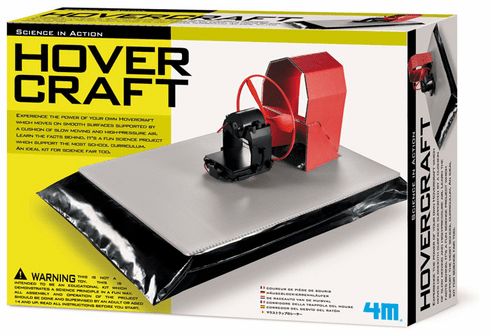 This Hover Craft Kit is a fun way to learn the facts and science behind the Hovercraft. Watch your own spectacular hover craft skim smoothly across the floor supported on its own cushion of air. It's a fun science project and an ideal science fair kit, too. 4 "AA" Batteries required but not included. Also required but not included, small cross-head (Phillips) screwdriver, this is a PVC-free science kit and the instruction manual is in 7 languages; English, French, Italian, Spanish, German, Japanese, and Dutch!